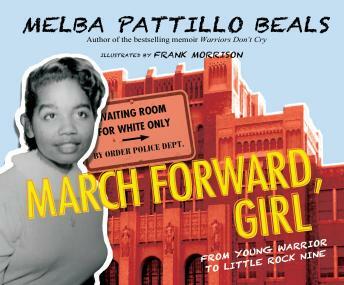 Long before she was one of the Little Rock Nine, Melba Pattillo Beals was a warrior. Frustrated by the laws that kept African-Americans separate but very much unequal to whites, she had questions: Why couldn't she drink from a whites only fountain? Why couldn't she feel safe beyond home-or even within the walls of church? Adults all told her: Hold your tongue. Be patient. Know your place. But Beals had the heart of a fighter-and the knowledge that her true place was a free one. This memoir paints a vivid picture of Beals's powerful early journey on the road to becoming a champion for equal rights, an acclaimed journalist, a bestselling author, and the recipient of this country's highest recognition, the Congressional Gold Medal.